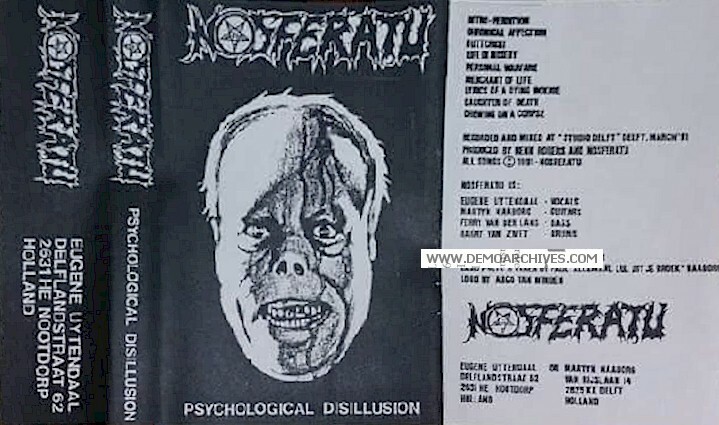 Death metal band started around 1989 as Morbid Fear then changed their name in 1990 to Nosferatu and released a couple demos before disbanding. Xeroxed covers. Black studio tapes.